Buying a home for the first time can seem like a daunting task. After all, there is probably no other time in your life when you'll spend this much money. Real estate is seen as one of the safest investments there are but without taking proper time to think about the decision, your investment could be taking on water fast. So what are some helpful tips for first time home buyers in South Boston to consider? What Should Your Down Payment Be? What Are Some Of The Biggest Red Flags To Consider? The answer to this question is highly dependent on your personal situation. For example, the old rule of thumb is 28 percent of your monthly gross income is what can be put towards a mortgage. This means that if you make $5,000 per month, or $60,000 per year, you can reasonably afford a mortgage of $1,400 per month. This rule of thumb fails to include any debt however. If you are still working on paying off things like credit car debt or student loans, this percentage of monthly income may be far less. They key is to create a budget and pick the value that best fits your specific situation. Having a large down payment is nice because it lowers monthly payments and saves the home buyer from paying as much interest over the lifetime of the mortgage. An old rule of thumb says to have, at a minimum, 20% down in order to purchase a home. While this may work for you, it can be very hard for some buyers to come up with this kind of cash. If you find yourself in this type of situation, a loan from the Federal Housing Administration (FHA). This type of loan can at times require a down payment of only 3.5%. To put this in perspective, this means the buyer would have to come up with $7,000 to put down on a $200,000 home. Unfortunately, some people may try to sell a home that is not in the best of shape. Some people may also be selling their home not knowing there home is in bad shape. Your best protection against unknown problems is to have a professional home inspection. A professional inspector will go through every corner of the home, inspecting, testing, and checking everything. Once that’s done, you’ll get a nice electronic report that goes into detail regarding anything that may be a concern or red flag for the buyer. The home inspector may not be fully trained in each aspect of a home, home inspectors are trained to look out for red flags that you should evaluate and decide if a professional is needed. But a home inspection is a buyer’s best guarantee they’re getting a home where they realize ahead of time any issues or problems the home may have. Once you decide you want to buy a home in South Boston, you then must decide what type of mortgage to get. The two most common terms of a mortgage are 15 and 30 years. Each of these have their own set of advantage and disadvantages. First, a 15 year loan has the advantage of getting you a lower interest rate which means the total cost of the home over time will be less and you will outright own your home in half the time. The downside to this is that your monthly payments will be higher leaving you with less disposable income. The inverse is true about 30 year mortgages. Your monthly payment will be far less, but you'll be making payments longer and end up spending more on interest over time. Calling in an expert should begin by using a local Realtor. They will help you find the best deals and navigate through the home buying process. After the home is purchased, while there are some very minor home repairs that it's perfectly acceptable to do yourself, larger projects should almost always be handled by experts as well. This is because doing larger jobs incorrectly, such as remodeling a kitchen or a bathroom, can actually decrease the value when you eventually go to sell a home. Aside from this fact, calling in an expert will also save you a ton of time and stress throughout the process. 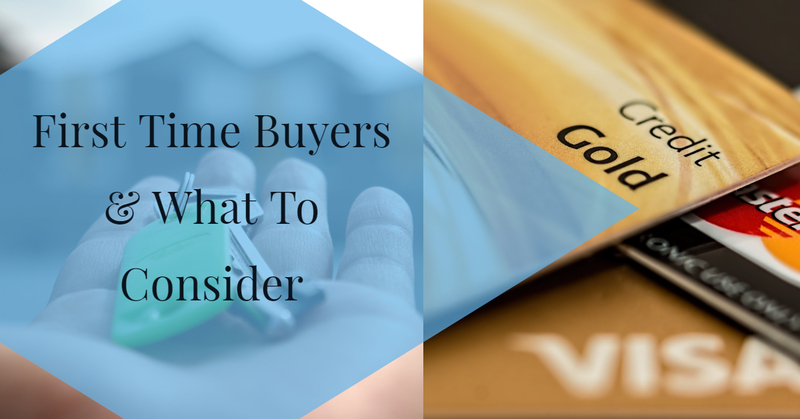 The total list of things to consider before buying your first home does not stop here. Continue to constantly research tips for first time home buyers and seek out the advice of professionals. By going into the home buying process armed with all of this information, you are setting yourself up for a lifetime of happiness in your new home.